Zone Striping, Inc. recently completed two bike lane striping and signage projects in New Jersey. 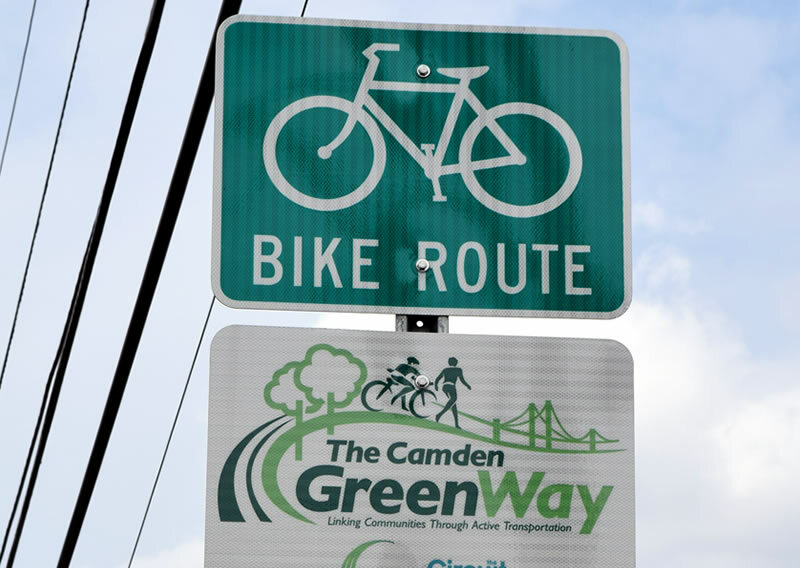 The Camden Greenway project involved creating bike lanes along Delaware Avenue in the City’s waterfront district near the BB&T Pavilion, Camden Aquarium and Rutgers University. The Ocean Township project involved creating bike lanes along two streets within a residential section of the town in the area of Deal Lake near several parks. Both projects were completed on existing roadways where no new paving was being performed. In several areas the existing striping had to be removed and re-aligned in order to accommodate the newly constructed bike lanes. Total work performed on these projects required over 10,000 linear feet of striping removal and nearly 150,000 linear feet of new striping utilizing both epoxy resin traffic paint and hot extruded thermoplastic. Zone Striping, Inc. installed a combined total of 220 Bike Lane Markings, consisting of a bicycle rider and arrow and 119 “Sharrow” markings, consisting of a bike logo and chevrons on these projects . The term “Sharrow” refers to “Shared Right of Way”. “Sharrow” markings are utilized in areas where the roadway is not wide enough to accommodate a full bike lane. The Bike Lane and “Sharrow” markings were installed utilizing preformed thermoplastic. In addition, nearly 200 Bike Lane signs and additional regulatory and warning signs were also installed as part of both contracts. Zone Striping, Inc. is pleased to have been a part of these projects. Bike Lane projects not only promote “green” recreation, but increase the level of safety for bike riders, pedestrians and motorists alike.